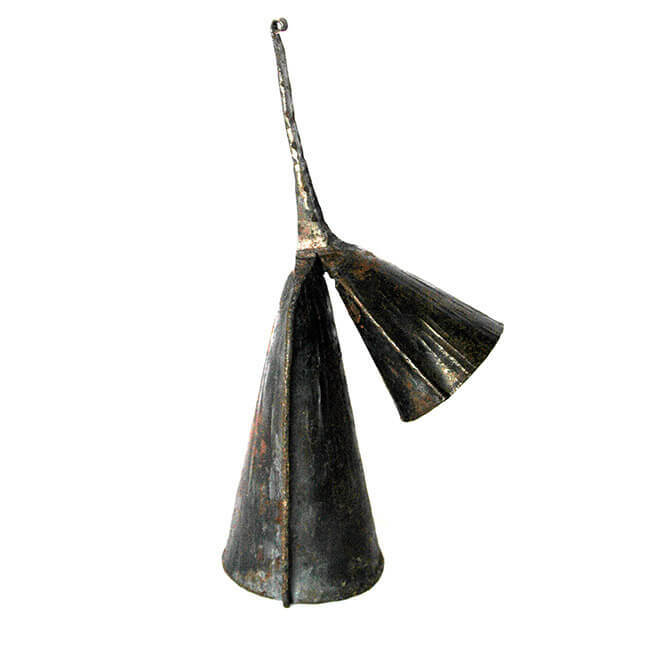 Known by the “Ga” tribe in Ghana as a Gogo Bell other names for this instrument are gankogui (gon-koe-kwi), agogo bell and double bell. This instrument is hand-forged of recycled iron. The main, larger body of the bell produces a low-pitched sound, while the smaller barrel a high-pitched when hit with a wooden stick/striker. It is vital in an ensemble for timekeeping.